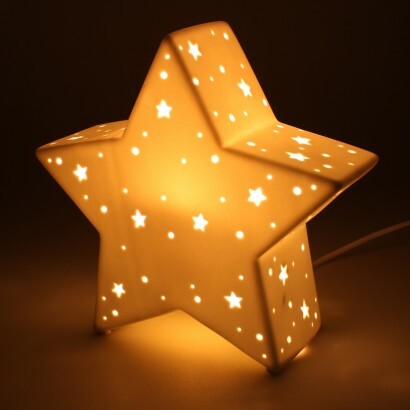 Detailed with stars and pin point design, this beautiful ceramic star lamp shines with a warm glow casting star shaped shadows into your child's room. 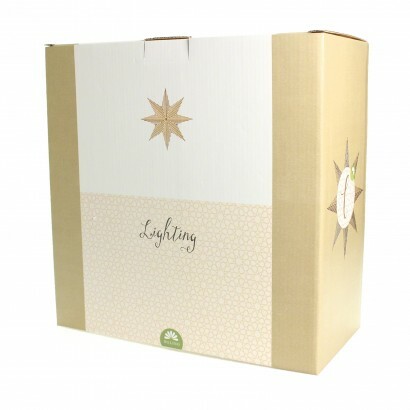 The white, neutral design is suitable for most coloured rooms and design themes fitting perfectly on bedside tables and shelves to cast a reassuring glow at night. 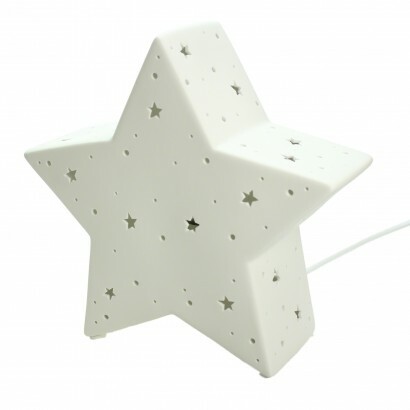 Mains operated, there's an inline switch for easy reach control allowing this stunning star lamp to shine all night long! 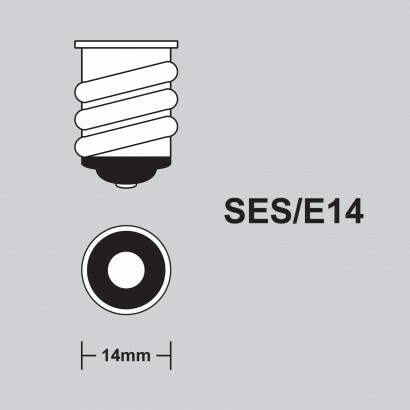 Bought as a night light for my daughters room. Arrived really quickly and beautifully packaged. My daughter adored it & I have had the first week of full nights sleep for over six months - Thank you!